Would you be surprised if I said that Shamrock, TX was founded and named by an Irishman? Probably not. So, here goes: Shamrock, TX was founded and named by George Nickel, an Irish immigrant and sheep rancher who had settled nearby. In 1890, he got permission to use the name Shamrock, chosen because it symbolized luck and courage. And because he was Irish. But, the post office never opened due to a fire in Nickel’s dugout. Mary R Jones served as postmistress at a nearby location for a few years, and amid a fury of flip-flopping names, post office closures, relocations, and re-openings, the railroad arrived. In 1903, the Luck of the Irish prevailed when the Chicago, Rock Island and Gulf Railroad chose to name the stop Shamrock. The rest is history. It wasn’t long before people arrived in the newly incorporated town. Shamrock really started to flourish when a water main was laid in 1923, eliminating the need to import water. Over the next few years, water wells were dug and oil and natural gas were discovered, ushering in the next population boom. I’m not sure if y’all have done the math yet, but I hadn’t. So, I’m going to give you a hint—there’s a HUGE oil and gas company named for this town. (Hello McFly! Yeah, I felt kinda stupid.) 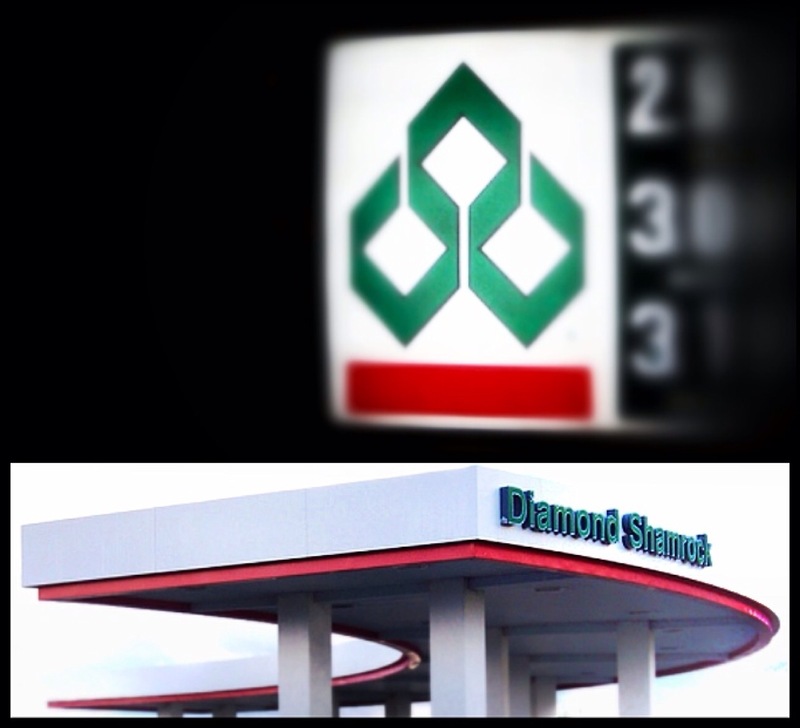 The Shamrock Gas Company provided ample fuel, and other companies took care of the rest. 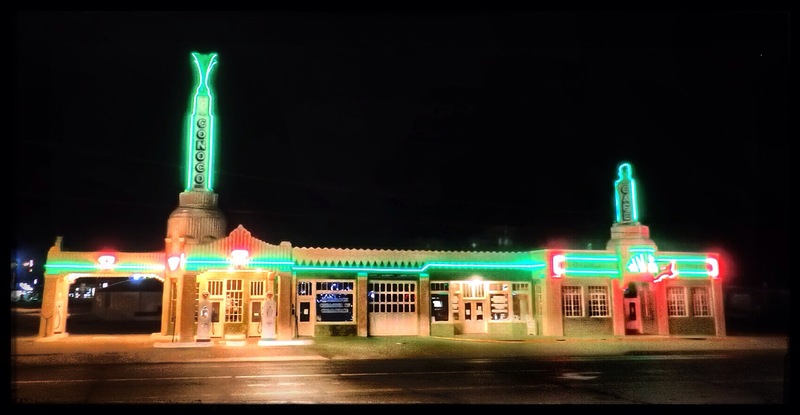 Shamrock suffered some with the oil industry’s decline in the 1930s, but improvements to Route 66 (which came through the middle of town) helped Shamrock bounce back. But, when I40 bypassed Shamrock, many businesses closed. 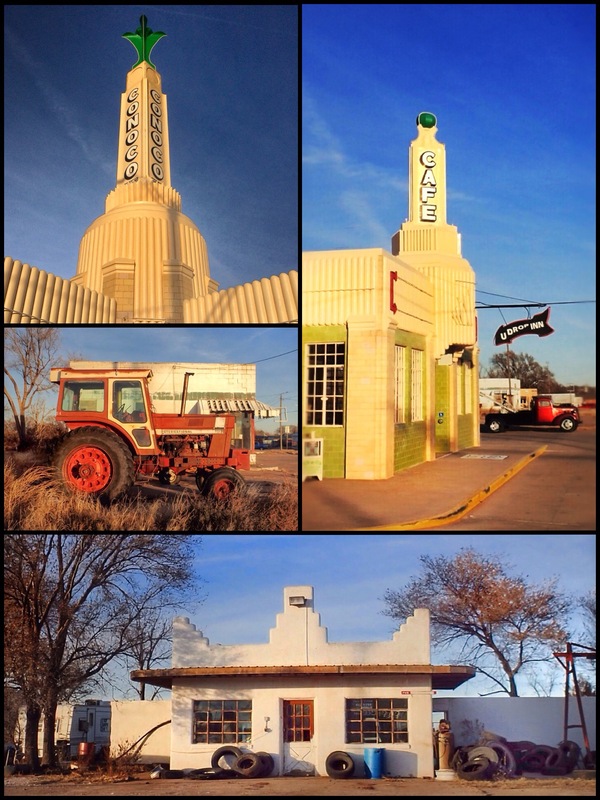 Unlike many other Rt66 towns, Shamrock has continued to grow with steady cattle, petroleum and agricultural industries. In 1938, the town had its first St Patrick’s Day celebration, an event that—after more than 75 years— draws in thousands annually. Shamrock also hosts the annual Eastern Panhandle Livestock Show. But, NONE of these are the reasons The Crazy Train made the trip to Shamrock. 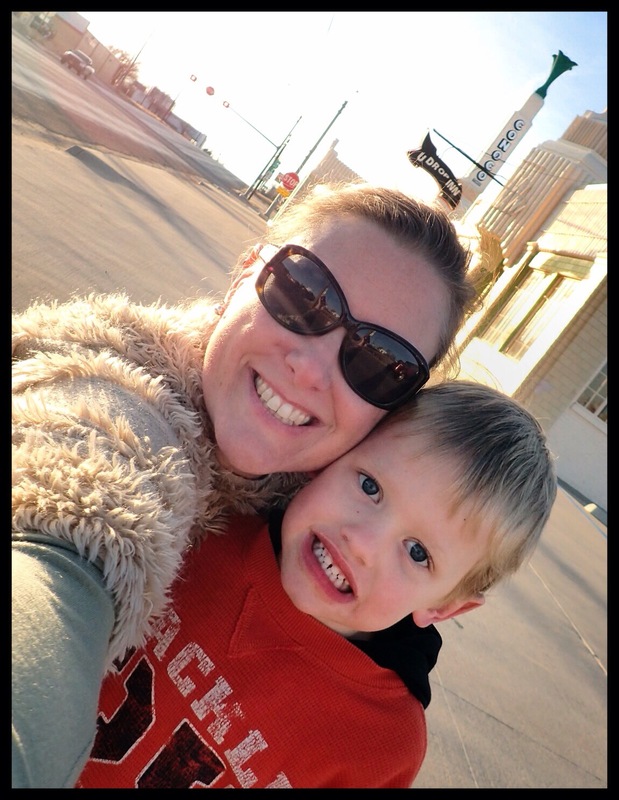 We blew into town on that breezy Wednesday afternoon for a totally different reason entirely. 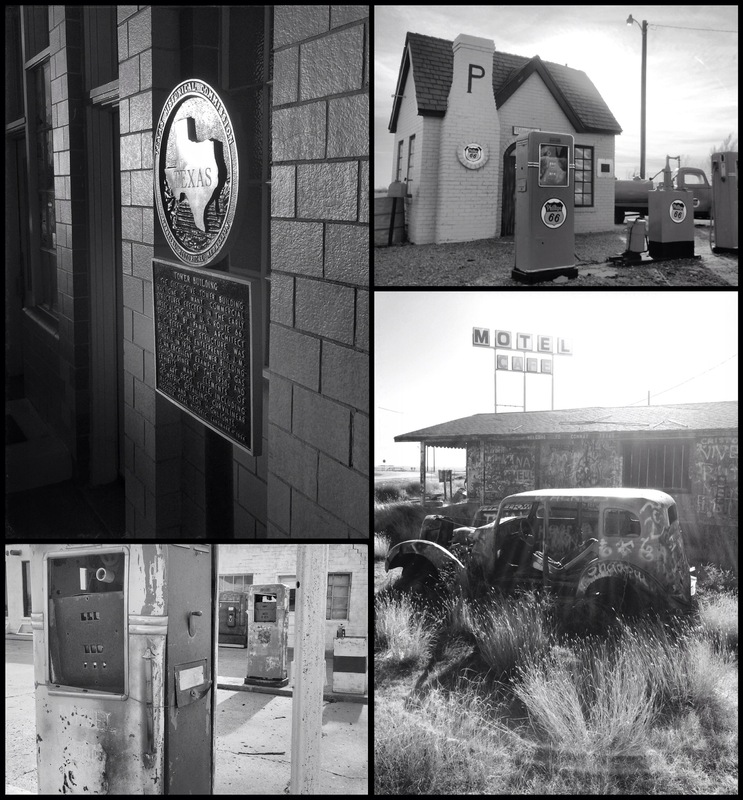 In 1936, a guy named John Nunn drew up the plans for a filling station in the dirt with a rusty old nail. The plans were later given to an architect and for $23K, the Crown Jewel of the Mother Road was born. 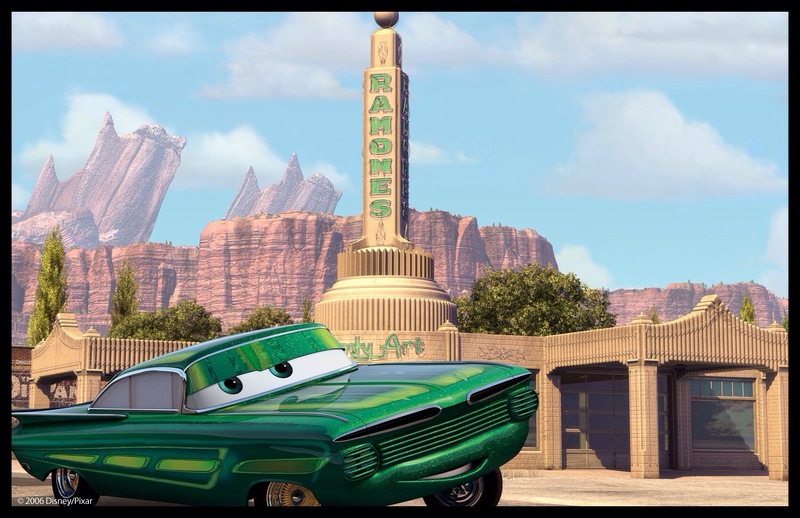 You see, like I said before, many of the locations depicted in the Pixar film Cars were based on real locations. But ONE location was copied almost exactly. The Tower Station and U-Drop Inn Café became Ramone’s Body Shop. And in Shamrock, the beautiful art deco structure has been magnificently restored to its original glory. My Cars fans rejoiced when they laid eyes on it. 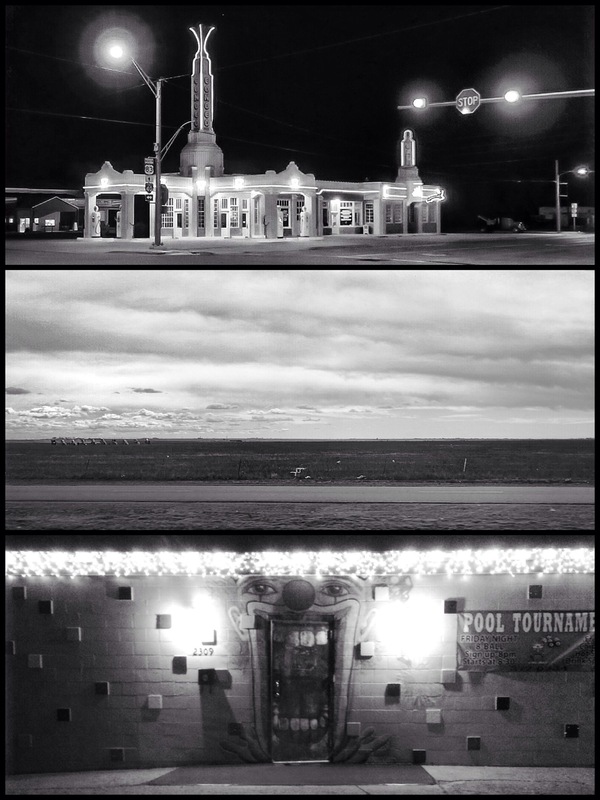 The Tower Conoco Station with its flat roof and tulip top was everything we hoped it would be…. everything EXCEPT open. Yep. They closed for Thanksgiving week, so we could only press our noses against the glass. 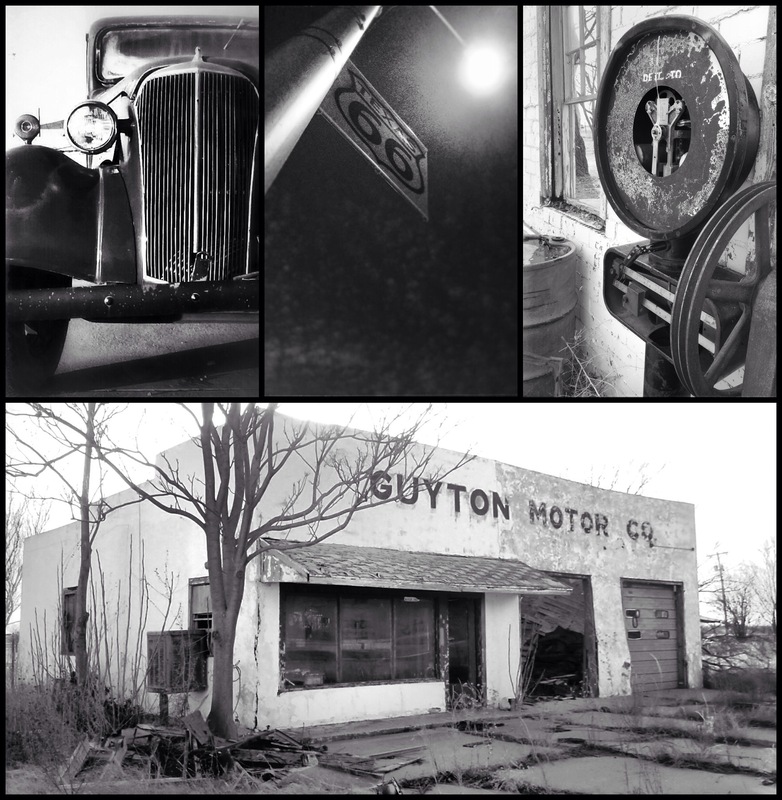 Today, it’s owned by the City and is on the National Register of Historic Places. The place had a hard life being passed from owner to owner, living different lives for decades before it was foreclosed on by the bank and then gifted to the City. This gesture by the First National Bank of Shamrock does my heart good and restores my faith in the goodness of some businesses. Thankfully, we ‘d planned a night in town, so we were happy to find the neon was on a timer, so we got to enjoy the beauty of the building both all lit up at night and during the day. I could walk around the outside of a building for hours. I could photograph the nooks and crannies of a historical structure until even my camera was bored. But, the Crazy Train will only humor me for so long before they force me to pack it up and call it a day. 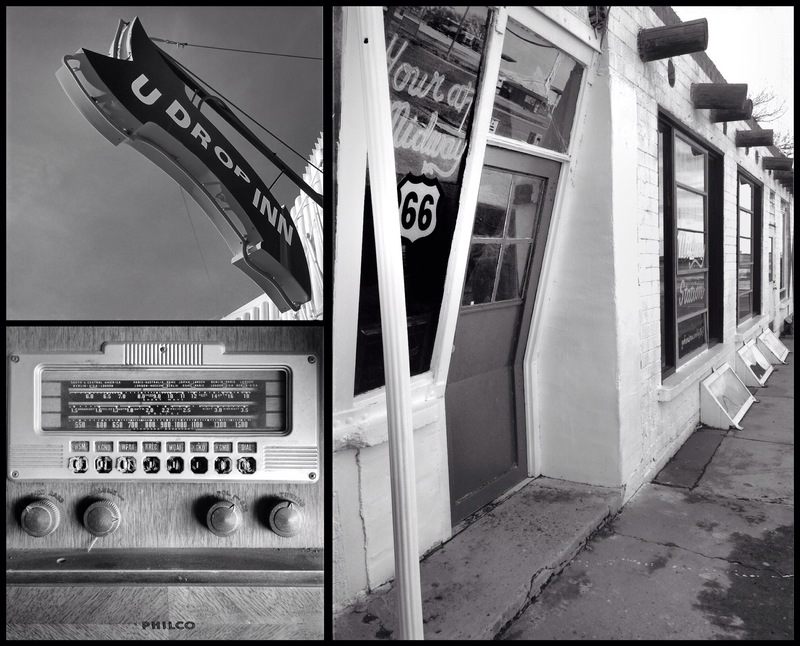 The art deco décor, the tulip adornment, the glazed terra cotta with decorative green and gold tiles of the U-Drop Inn…. 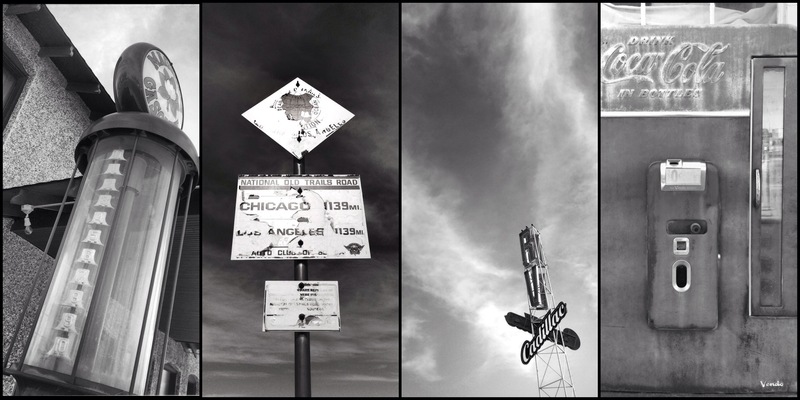 The geometric detailing, the curves, the neon outline… I was in my element. But the Crazy Train was hungry, and the masses needed to be fed! The kids were delighted with Ramone’s. I mean the Tower Station. It was a pity that they closed up before the holiday because while we were roaming around, taking pictures and soaking up the ambiance, several cars with disappointed kids in their backseats slowed down and saw the closed sign and kept driving. During the hour we were there, I counted eight cars who would’ve stopped had it been open. I was surprised to learn that Shamrock had such a thriving population. Although we arrived the day before Thanksgiving, we were surprised at how deserted the town seemed. There weren’t many places open for business (or that would be open on a regular day) and there seemed to be a lot of abandoned structures. 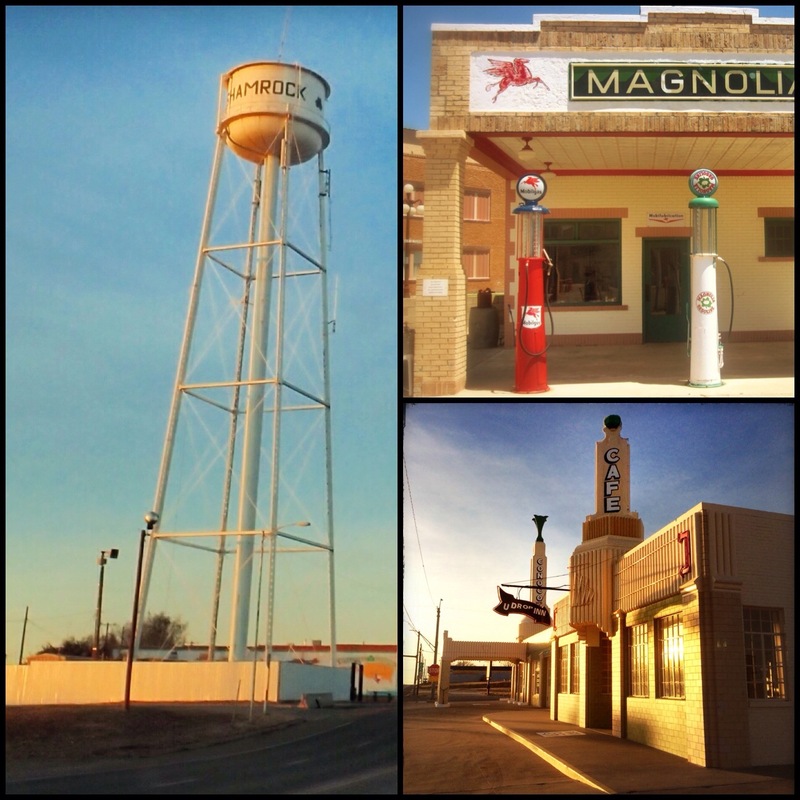 The Tower Station and U-Drop Inn was beautifully restored, and there was a Magnolia Station that had also been restored in town, but the other historic buildings seemed to have been forgotten. But, all that aside, we really enjoyed it. It was probably the highlight of the 4-year old’s day. He was a bit curious about where Ramone was, but when we talked about it, he understood that the movie just copied this place, and that it was kind of a cool thing to see. It was definitely worth the trip, but we would’ve loved to have spent a little cashiola on some souveniers! On the Crazy Train scale of must-see-spots, this ranks way up there. But, make sure they’ll be open before you make a trip. 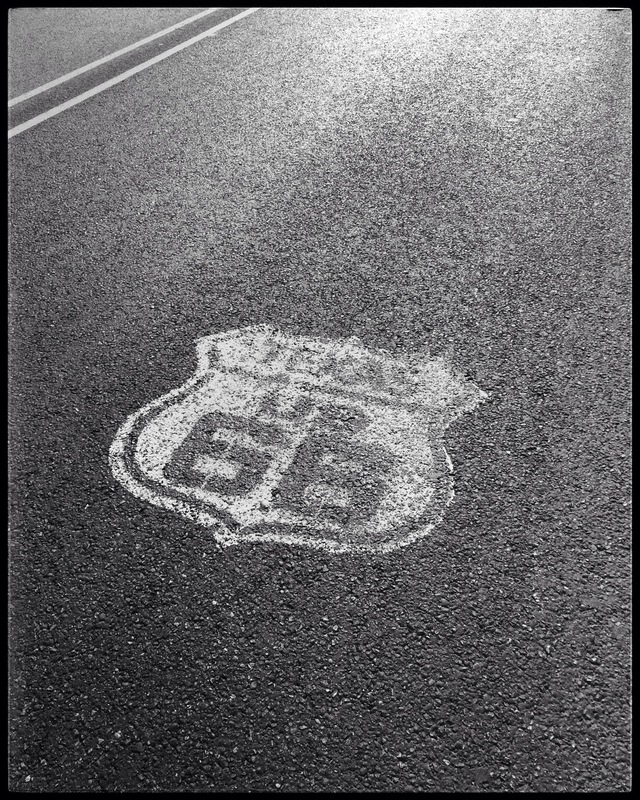 And, put some other things on your itinerary while you’re in that neck of the woods, because unless you’re hard-core history nerds like we are, the Route 66 Trail through Texas can be a bid underwhelming. That being said, I still want to go back. Soon.